1. Social remains an interesting but unproven channel. 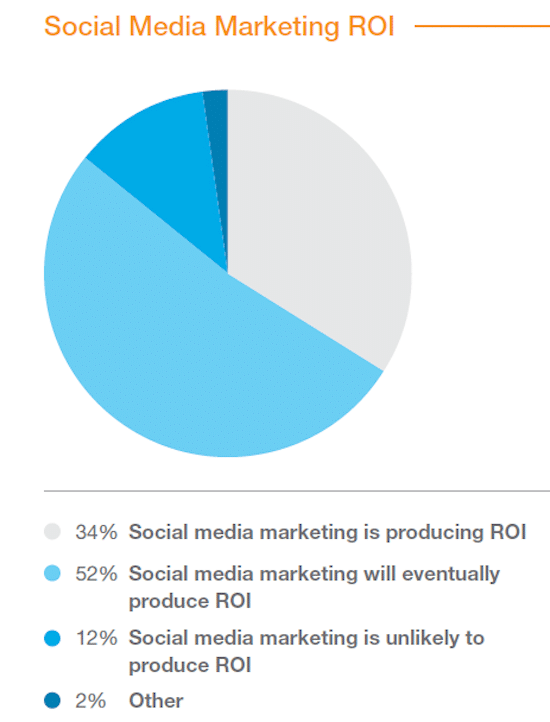 Forty-six percent of marketers claim that social is core to their business, but only 34 percent said their social marketing efforts were currently producing a return on their investment. This finding is consistent with results reported in other studies. 2. Email is, for many, the most important marketing channel. A large majority of marketers – 68 percent – say that email marketing is core to their business and is the best strategy to increase sales. This is not surprising. one-to-one marketing has proven to be effective for many. In fact, 57 percent of marketers plan to increase the number of emails they send in 2014. 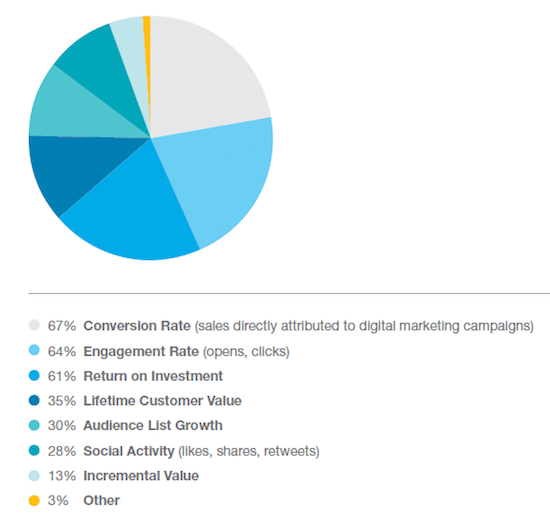 The top performing email campaigns include loyalty, birthday, welcome, abandoned cart, and browse retargeting. 3. Conversions are king. While many marketers look at engagement rates, lifetime customer value, social activity (likes, shares, retweets), the top success metric for most marketers remains conversions. 4. Marketers continue to ignore mobile. 42 percent of marketers said they rarely or never use mobile responsive design in their marketing campaigns. This continues to surprise me, since nearly half of all survey respondents confirmed that their customers and potential customers viewed their marketing campaigns on a mobile device. You can download a free PDF copy of the report here.